Express Employment Professionals is the 5th largest staffing firm in the U.S. with over 800 offices and 2018 revenues of over $3.5 Billion. 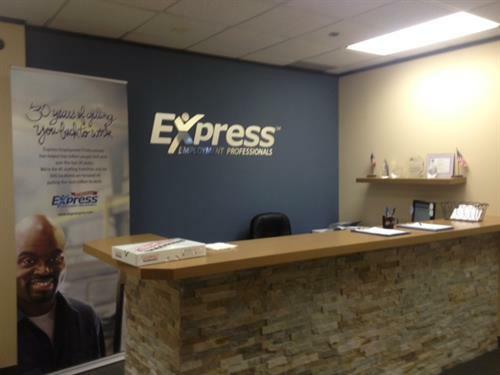 In Chicago, Express has 17 locally owned offices, and works with over 1,000 companies per year. Express is an ISO 9001 Certified company, and was recently named as a “Best of Staffing Talent” company for the 3rd year in a row, a recognition that only 1% of companies in our industry achieve. Express provides a full range of employment solutions that include full-time, temporary, and part-time employment in a wide range of positions, including professional, administrative, accounting, manufacturing and operations. Our workforce and workplace solutions are designed to build flexibility into your workforce, allow you to evaluate performance before you hire, lower operating costs and improve employee morale. Whether you are seeking a new job or are looking to hire your next employee, call us at 847-394-1142 to discuss how we can help you. At the Southeast corner of Route 53 and Algonquin Rds.